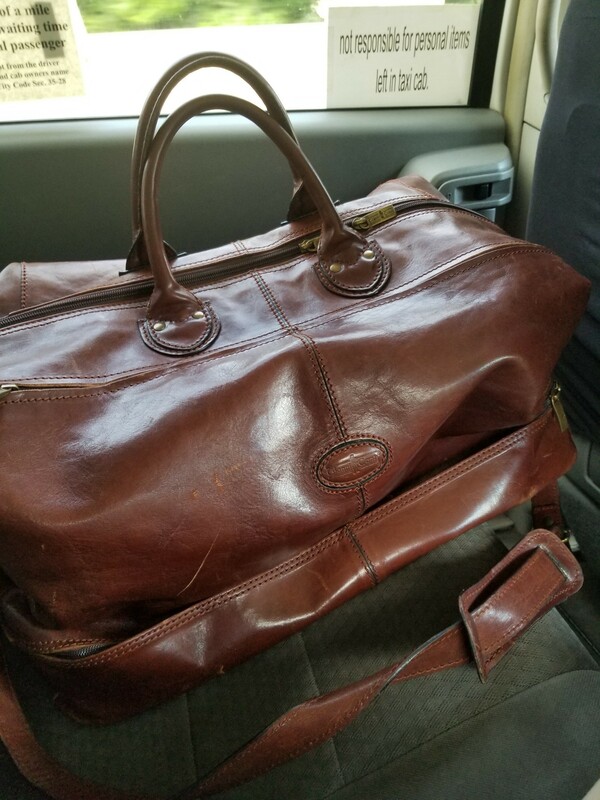 If This Bag Could Talk…..
On a recent office visit to Chattanooga Tennessee, my Gianni Conti Italian leather satchel caught my eye on the seat of a taxi and I began to flashback to our 25-year relationship together. It all started as a birthday gift from my wife for my 30th birthday purchased on a cold day in January during a visit to Montreal Canada. Certainly, we have seen and been through a lot together; planes, trains and automobiles for sure. Pounding the globe for more than 15 years throughout 26 countries in the early days. No land too far; Europe, Latin America, Asia. Countless business conversations, numerous delays, several sleepless nights, and more than a handful of foreign currencies and reimbursement receipts. Like a camera flashing through the memories of my life this bag is an Instagram story that does not simply fade away. I am reminded of the wonderful family trips, vacations and over-night get away I have enjoyed with my family and friends where this bag was a silent observer. A wonderful and comfortable travel companion. Together we have seen this great land that we are blessed to call America. I feel so young. How could all this time have gone by? Companies I’ve worked for have come and gone. People I have transacted with have moved on or worse yet passed on. Families I have vacationed with have split up. Children I have reared have grown up; yet as I look at the bag, it all appears the same and timeless. As I look in the mirror I can’t help but see myself as I see the bag. I know it’s not true. Certain as the bag has worn and shows age so too have I. This evidenced on this business trip by my misreading of my own itinerary resulting in the missing of my first flight in 25 years of travel due to my own human error.